frnds plz suggesion me which one is better karbonn s5+ r micromax canvas elanza2 A121 plz tel me which one is i buy? frnds plz suggesion me which one is better karbonn s5+ r micromax canvas a114 plz tel me which one is i buy? Its a good phone am enjoying it, u need to update it to enjoy to the fullest, once u master all the functions then thats it. I have purchased karbonn titanium s5 plus one month before, now I felt some error occur in it that error is like this below mentioned that when making a call or answering a call the phone is going to idle state after it happened the display doesn't working...what can I do now? Is there any solution for that..Please any one give me suggestions..
all thing is superb in this phone. Shailesh, 03 Nov 2014Dear All, All apps are easily move to your sd car. just go to setting, Next click on-Apps... moreWhen did u buy the phone? 2) Move to Phone storage. AnonD-316402, 29 Oct 2014worst phone ever i seen u cant move ur app to sd card bluddy 1 gb internal memory when u ins... more I agree with u evenIam not able to install any app. whats d solution? really waiting for this phone. can't wait. amazing features with low price. in Nepal we have to pay about IC 10000, so ordering from Gorakhpur India. very good mobile with this price. using it from l year absolute no problem. 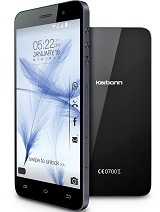 Anonymous, 23 Aug 2014Karbonn titaniun s5 is best phoneIm using it for almost 1yr. But since 2 months its camera is not working, somtimes it says gallery is not responding. Once I went to its serv cntr. they simply re installed the software deleting my doccuments & contacts. Now again Im facing same prob.